TELUS will deliver orders free of charge and there are no activation fees. 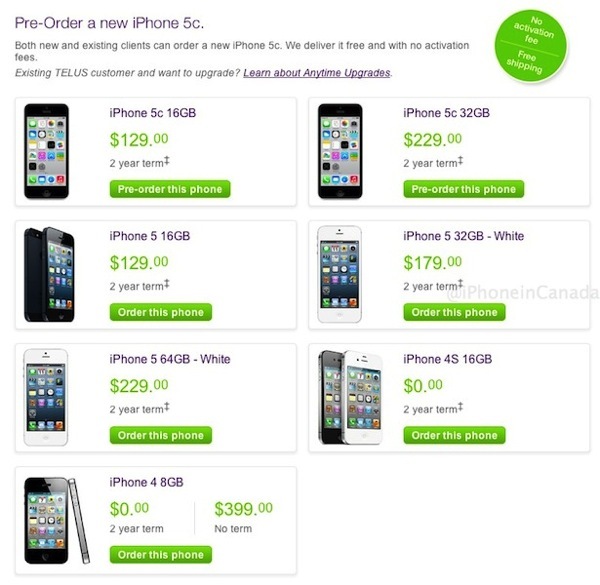 So it looks like there’s a $30 premium for the iPhone 5c on two year terms in Canada compared to the USA. This year, unlocked iPhone 5c pricing is also $50 more in Canada compared to our US neighbours. The 16GB iPhone 4S is free on contract as well as the 8GB iPhone 4, which hasn’t died just yet. Note the 16GB iPhone 5 is the same price as the 16GB iPhone 5c; the same goes for the 64GB iPhone 5 and the 32GB iPhone 5c. 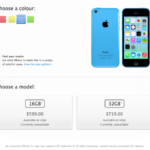 Anyone going to pre-order their iPhone 5c from TELUS?